What do you think of when you think of floral prints? Twee country decor? Your grandparents’ sofa? Their curtains that should have been left in the 1950s? Well, it doesn’t need to be like that: done right, floral patterns and prints can help give your home a modern makeover, rather than setting it back to the past. With more and more designers drawing inspiration from nature for their products, there’s a growing trend towards cool and contemporary floral. And of course, if vintage chic is what you’re after, a well-chosen floral print can be just the ticket. 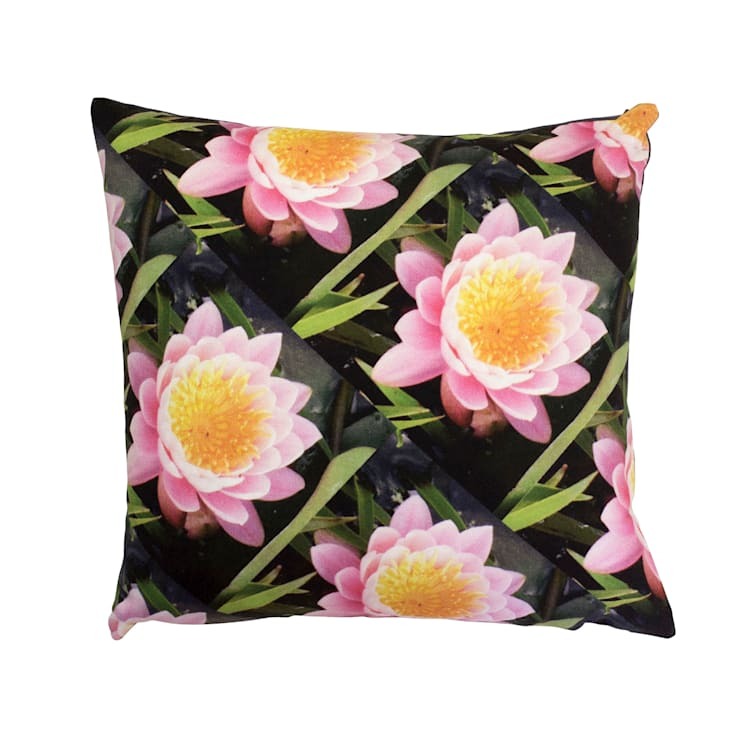 Here are some floral-themed products that will suit a wide range of homes and tastes. Flowers aren’t always delicate and fragile. This wonderful cushion is anything but understated, with its strong colour contrasts and the strangely geometric quality of its pattern making it a real attention-grabber. Pieces like this are ideal for making a loud and proud statement in an otherwise muted living room. Even on its own it’s a standout item, but pair it with another cushion in a contrasting but equally out-there print and you’ll truly make an impact. The big, bold colours and prints of these chairs is fantastically reminiscent of the colourful furniture many of us associate with our childhoods. They’re playful, unique and vibrant, but the prints are still grown up enough to place this furniture firmly in the adult domain. Combined with this wonderful contrasting table, chairs like these will provide an irresistible spark of light and life to your kitchen. The fact that the prints on the chairs don’t match is a lovely little quirk that just adds to their appeal. You can also easily recreate this look yourself by salvaging vintage chairs and recovering the seats with a selection of bold printed fabrics of your own choosing. The fun’s in the mixing and matching! Here, the traditionally mumsy floral bedspread gets a makeover, with its patterns picked out on discs on the wall and in the bedside lamp. It’s a strong look and certainly not for everyone, but it’s a great example of how being a little creative and really letting your floral prints take centre stage can totally transform a space. The walls in this room are a lovely shade but they’re so dark that they really needed something very special to brighten them up. The vivid floral prints here, combined with the contrast provided by the sunshine-yellow door, are the perfect solution. 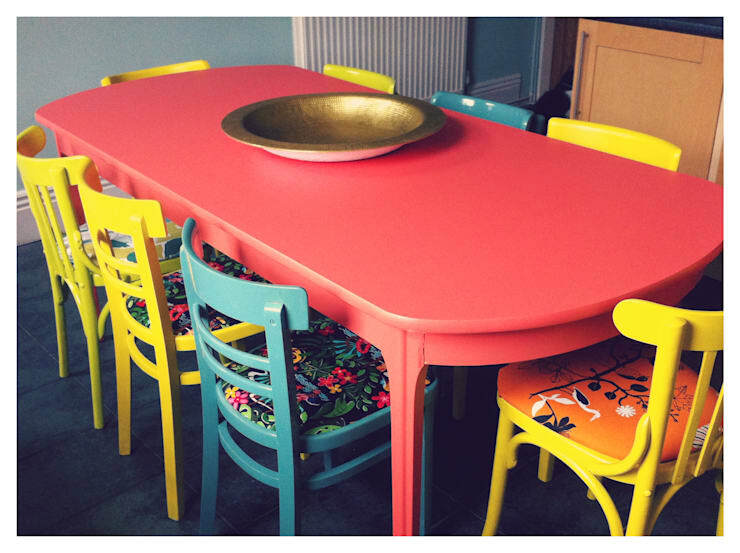 This table mixes a traditional silhouette with a vibrant print in primary colours, resulting in a truly unique effect. Love it or hate it, you’re definitely going to have an opinion on it – and it’s pretty much the definition of contemporary floral. Again, there’s something very reminiscent of childhood here, perhaps comfortingly so. But you can bet that adult visitors will be very interested in this piece as well. 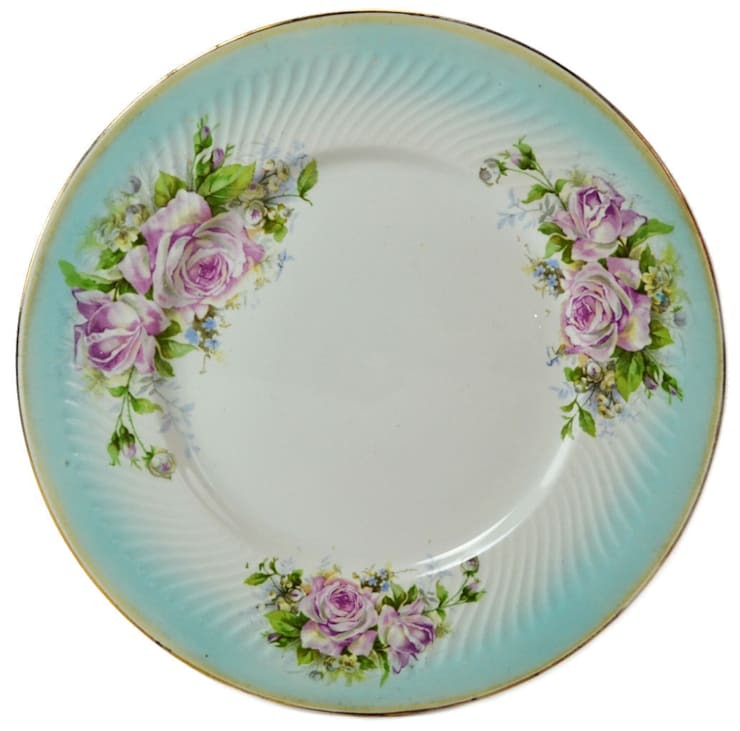 OK, so this plate might be a little more in line with what we typically associate with the idea of floral prints. Pastel colours – check. Whimsical roses – check. Gold border – check. But just because it’s not contemporary doesn't mean it’s not creative. There is a real joy in collecting mismatched vintage crockery from markets and fairs, with the ultimate goal being to have no two plates in your cupboard quite the same. 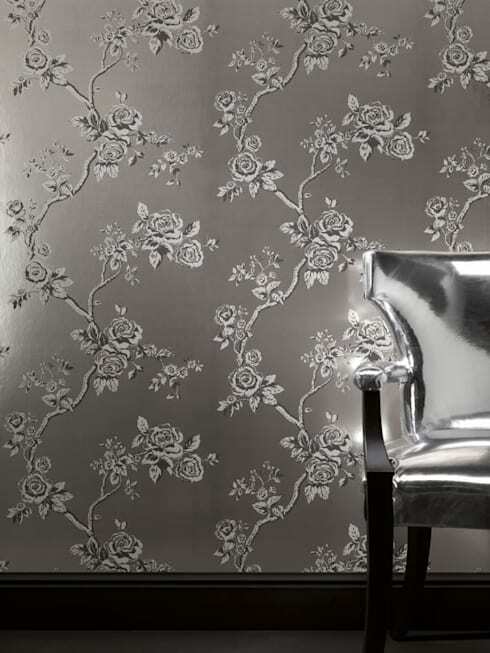 This floral wallpaper is decadent, rich and outrageous – especially paired with the silver chair seen here. You won’t find this look in a country cottage. Floral wallpaper is a great way to make a feature of one particular wall – though cover the whole room in it and you’re at risk of overwhelming the place. 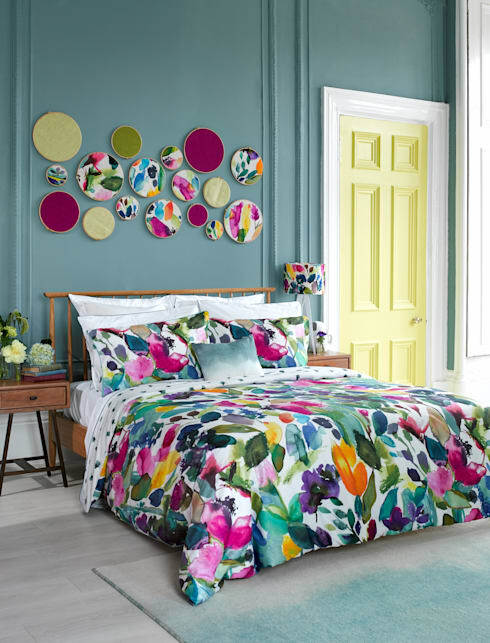 How do you use floral prints in your home?